This sleek, neatly upholstered contemporary power reclining design will look great in any modern living space. Its simple, clean lines are neatly upholstered in practical easy-care fabric and use quality interiors to ensure lasting good looks. 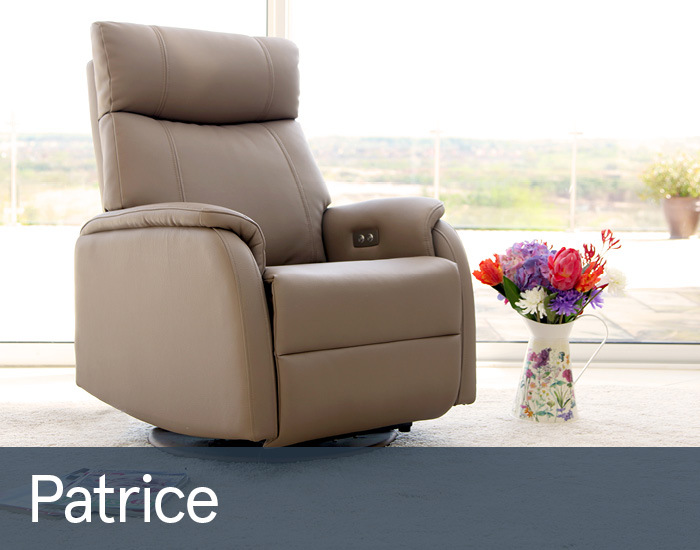 Sit back and enjoy Patrice’s comfy high back support and discrete power reclining seats for complete relaxation.